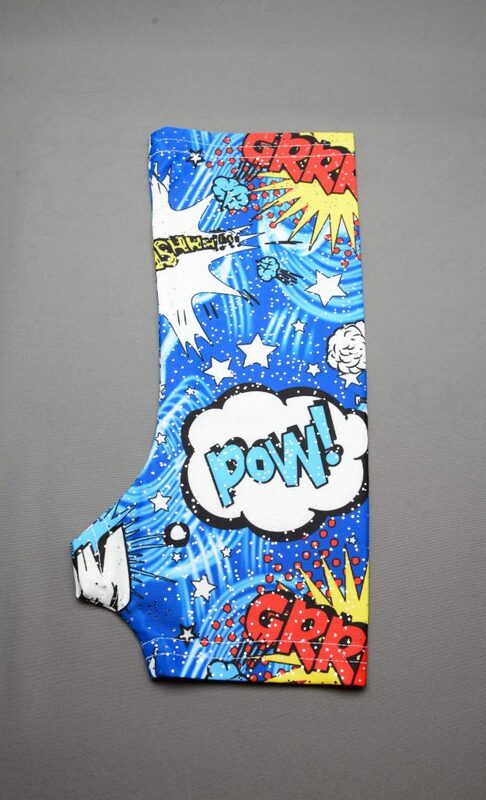 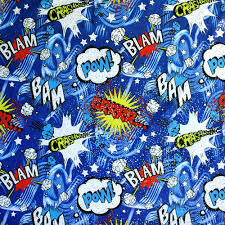 Cool and fun comic explosive cast cover will make your boring cast look fun and cheerful. 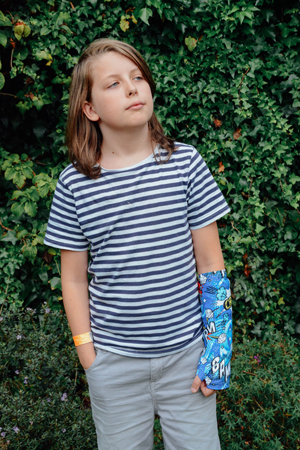 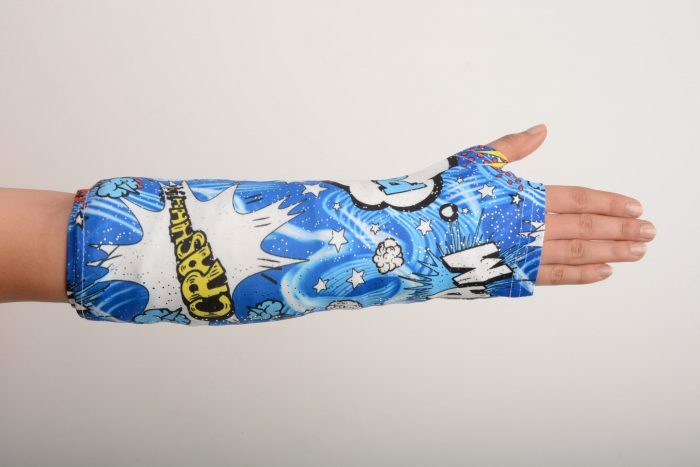 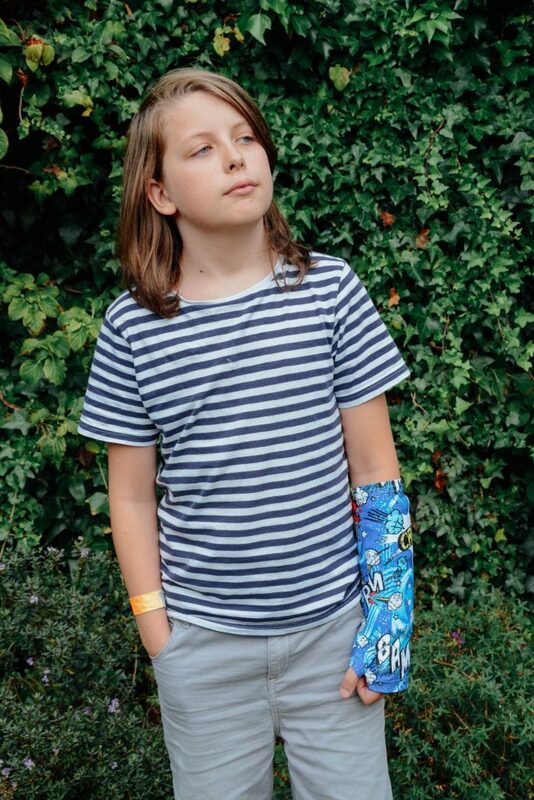 This cast cover is stretchy and washable, a fashionable cast cover to cover and keep your cast clean. 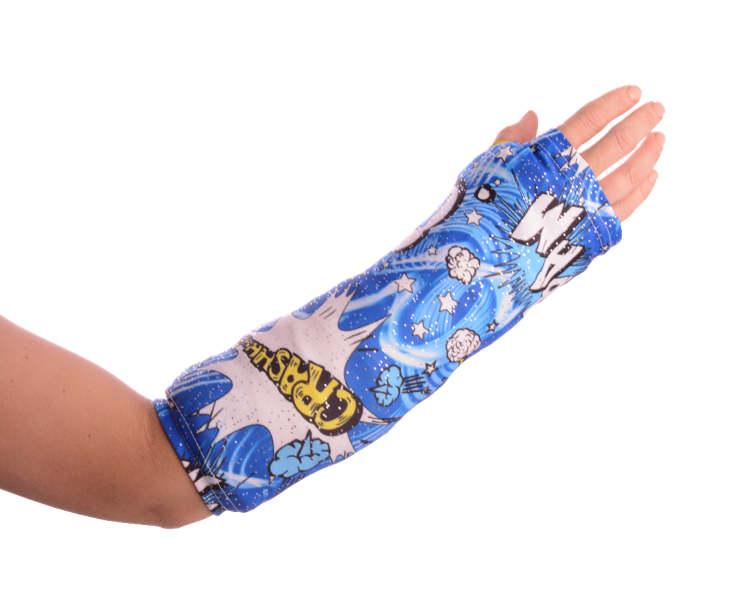 Also protects your cast from scuffing clothing and fabrics. 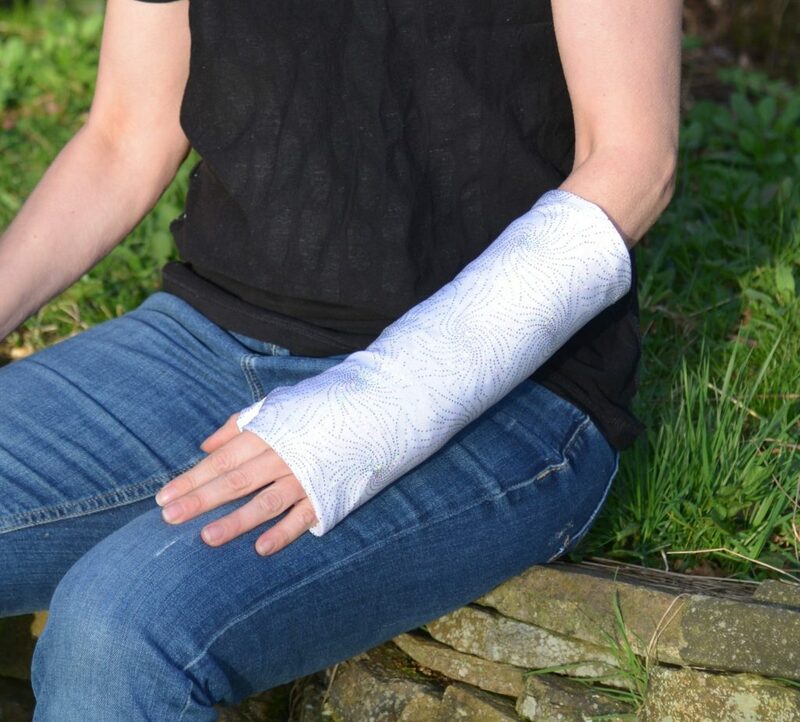 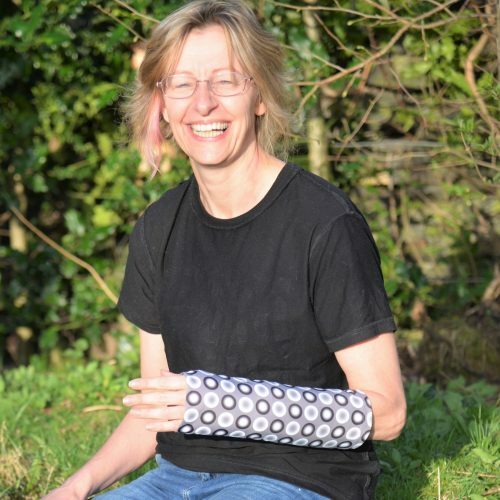 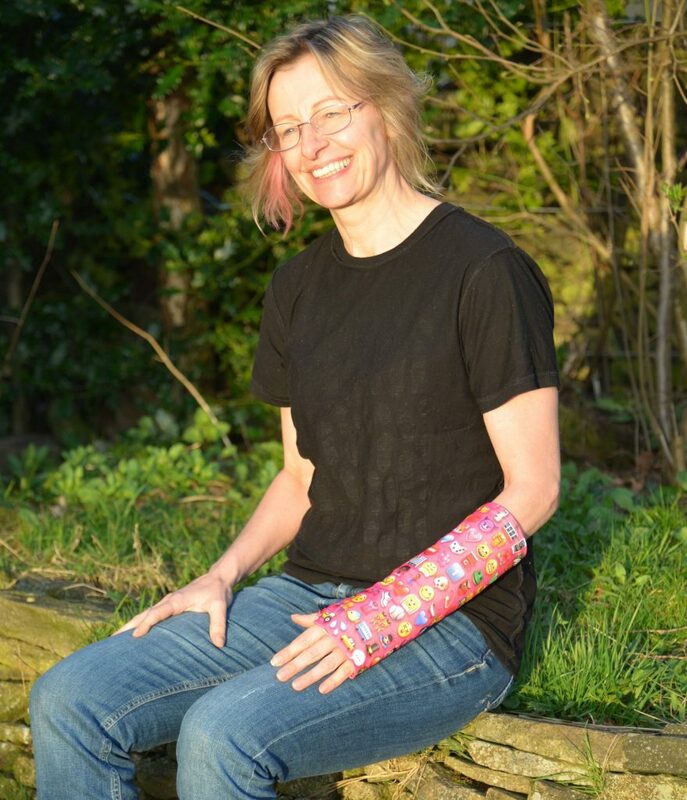 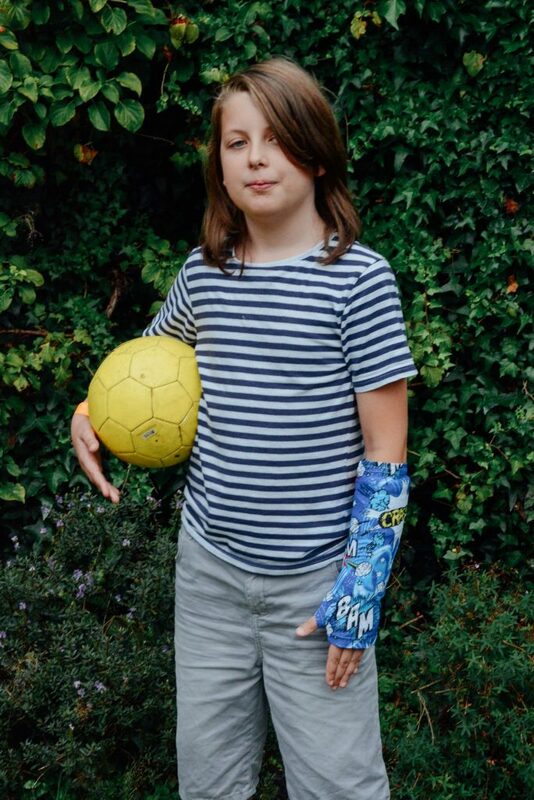 Made from a super premium elasticated Lycra mix, this cast cover is stretchy, breathable and easily washable. 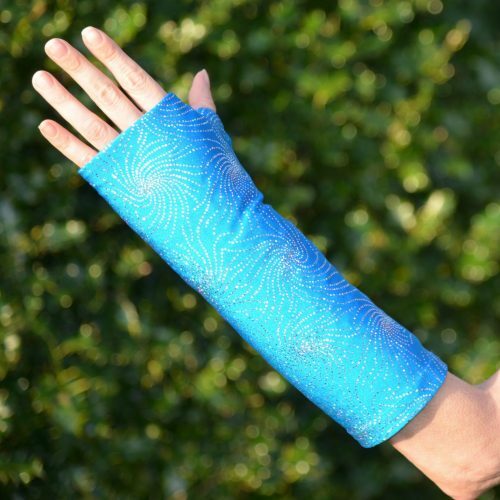 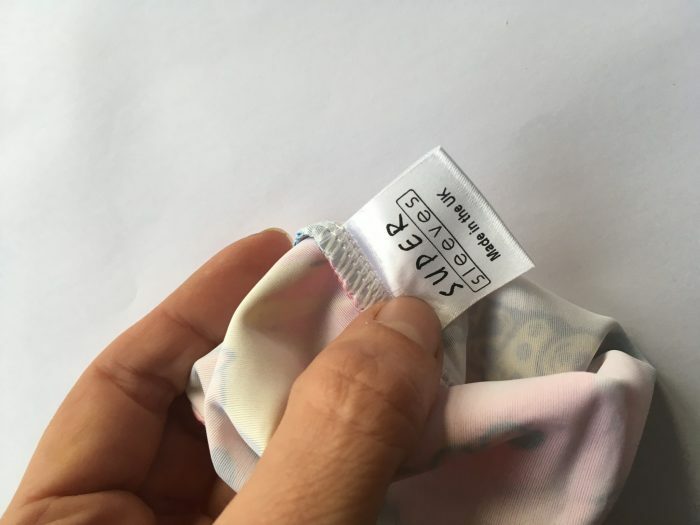 It will maintain its shape in the wash and the colour is fade resistant and wont leach onto your cast. 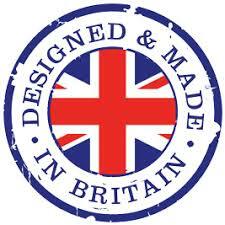 All our cast covers are made in the UK. 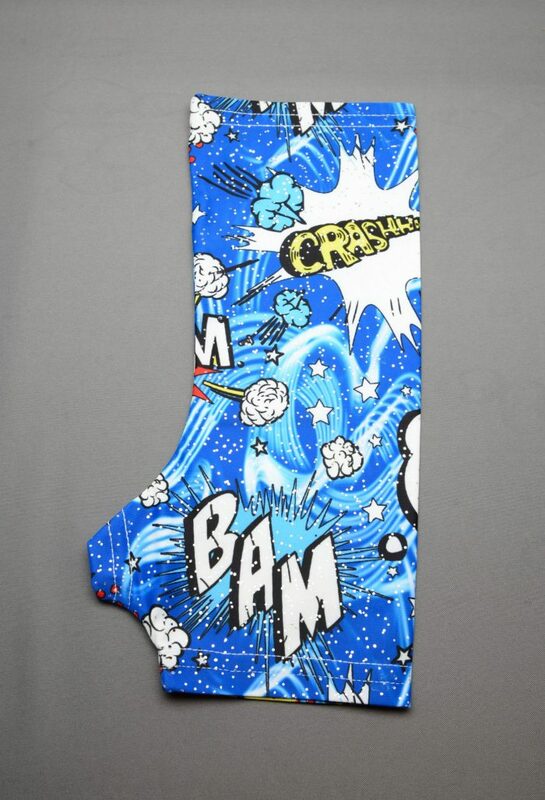 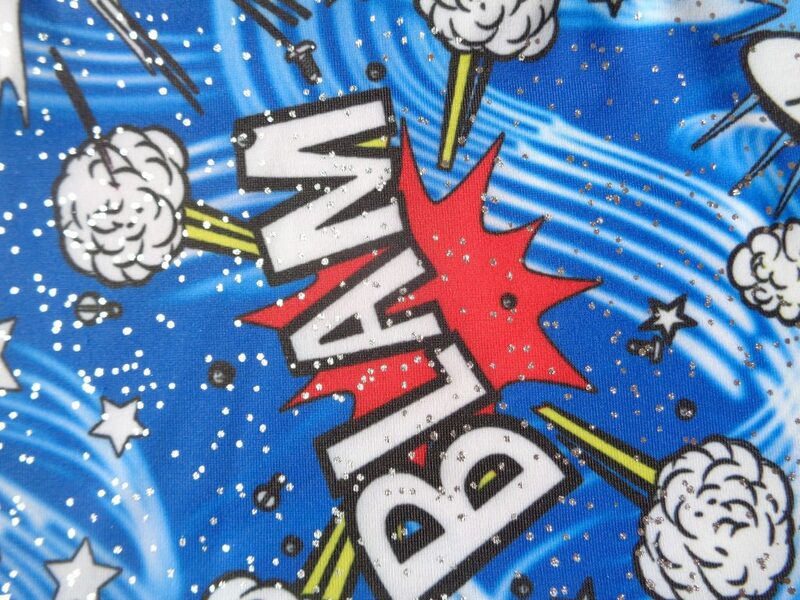 Blue comic cast cover with a fun Bam, boom, bubble style design. 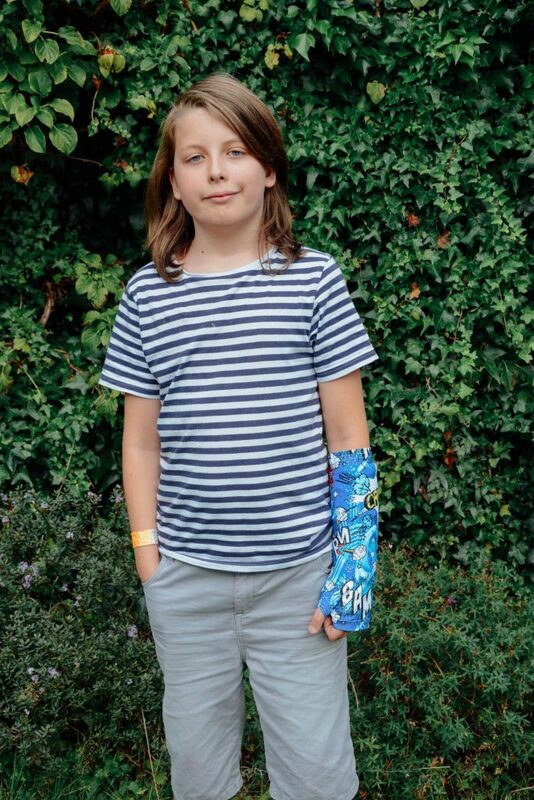 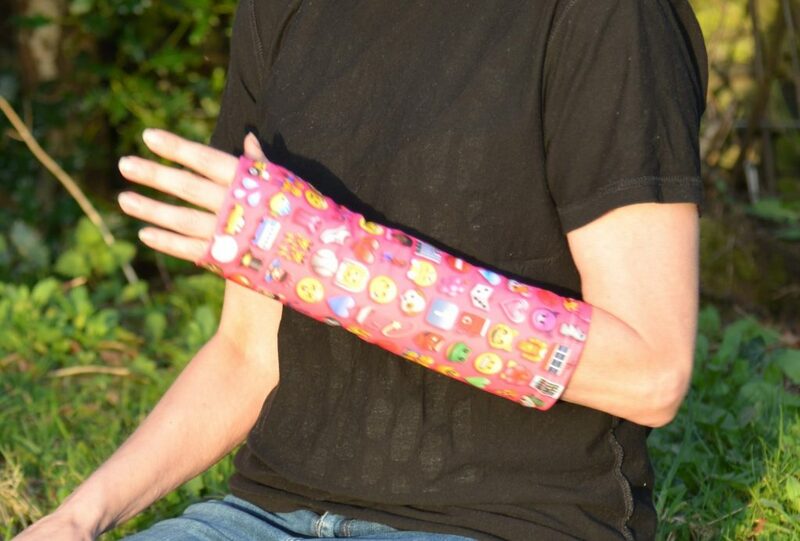 A really fun cast cover which will keep your cast looking bright and fun. This cast cover is stretchy and washable, a fashionable cast cover to cover and keep your cast clean. 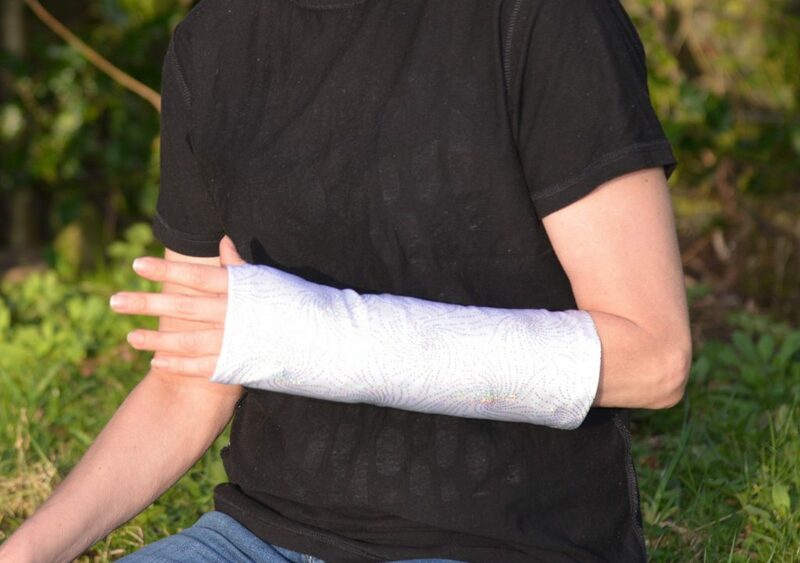 Also protects your cast from scuffing clothing and fabrics.